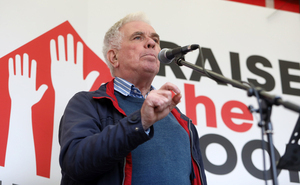 In today’s Irish Times Fr Peter McVerry takes the Taoiseach to task for implying that homelessness does not exist, that what we call homelessness is really only a kind of aspiration for better homes. That those who complain of homelessness are really saying that they’d like nicer places to live. “There are 90,000 people on the housing list but very many, if not most, have houses and apartments. However, these are houses and apartments that are being provided to them through rent supplement or the private rental sector and they want different houses or apartments that are more appropriate to their needs. So, according to the Taoiseach, the homeless have houses and apartments, but they are simply being fussy and want better ones. And since he is the Taoiseach, and leader of the free world as we understand it here in this soggy corner of Europe, the Homeless Crisis has now been officially downgraded to the much more manageable Fussiness Crisis. A crisis where taste is not, unfortunately, being matched by reality. Something a good bucket of paint and a joss-stick might solve. A problem that a simple shift in mental attitude might dispel. Fr Peter McVerry’s article produces enough hard evidence and figures to show, just in case anyone was in any doubt, that we really do have a homeless crisis and not just a “Fussiness Crisis” as the Taoiseach appears to be suggesting. Where I come from, this is called a bare-faced lie. But I come from a relatively humble working-class background and I’m maybe not sophisticated enough to tell the difference between a bare-faced lie and some complex housing/social policy thingy that someone like me might not be fully capable of grasping. The Taoiseach’s suggestion that there is no homelessness also implies that rough-sleepers and kids living on fast food and crisps in hotel accommodations, as reported in the Irish Times yesterday, are only figments of the collective imagination, like some kind of mass delusionary experience. The idea also appears to suggest that the work Fr Peter McVerry and people of his ilk have been doing all these years, against increasingly ambivalent odds, is also delusional in its assessment of the problems they are addressing every working day of their lives, and the political policies that appear to be creating these problems. There was an old joke in working class Dublin to describe tough neighbourhoods. You’d say “They ate their young in that place!” This came to mind when I noticed yesterday’s census reports that 1 in 4 homeless people are under the age of 18, and that the largest homeless age group was children under 4 years of age. Posted in Misc and tagged Eamonn Kelly, Fr Peter McVerry, Homeless at 3:24 pm on August 11, 2017 by Eamonn Kelly. The Taoiseach was referring to the 90,000 on the housing list. There are under 7,000 “homeless” people. So he was in fact correct when he said that very many, if not most of them were in housing. I don’t know why you would try to twist what he said like that – is the figure of 7,000 not enough to be outraged about? 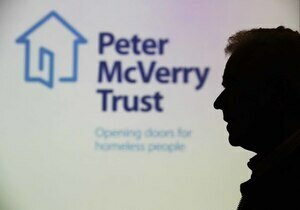 Homeless charities receive €80m a year. The housing minister controls a €1.8b budget (granted it’s for more than the homeless). Why oh why oh why can this 6 figure sum PER PERSON PER YEAR not be used more effectively than trotting out a few soup runs and camp beds? There is something decidedly fishy about the whole thing. If you add in a presumed mental health budget allocation, at least to the “sleeping in doorways” homeless, these figures go up further. What is the problem here? Why so wasteful? Where is the money going? There is only one solution to families in hotels, and that’s a huge, national programme of social house building. We cannot keep avoiding this simple fact. As for the guys in the doorways, whether it’s cause or effect it’s almost certainly in huge part an impact of our drug policy. That needs complete reform too. I believe that the Taoiseach is correct is what he said re most of those on housing lists were already in apartments or flats etc. 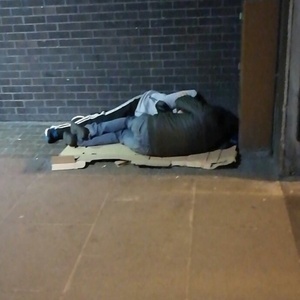 While there are genuine cases of people being homeless and deserving help, a percentage of these homeless people have brought this situation on themselves by using drugs, over use of alcohol and avoiding work of any kind. This man Varadkar seems to be a decent man doing his best for our country and calling him a liar is typical of a ‘cowboy reporter’ trying to be famous by making outlandish statements. Varadkar was referring to the housing list so technically not a lie at all. No, people on housing lists are not homeless but are deemed as having a need for social housing support. Leo is also wrong tho, anyone on HAP or RAS in rented accommodation is suspended from the housing list. This is simply an issue about where the poverty line is .. People who are homeless are either low waged or on social welfare, and often with young kids. 20-30 years ago they were housed in local authority flats in town or in local authority housing at rents theyre meagre income could afford. 20-30 years ago professionals and or those with skills could often afford a house near work on one salary. If they were married almost certainly. This remained they case when banks were shovelling money out the door (imprudently) from 1999-2007. Fast forward to 2017 and even those on decent wages can only afford a small flat in the cities or a bedroom in a share house. Wages are stagnant, and deposit and lending laws are strict. Those who already have wealth from better times leverage it to push up the price of limited housing stock which they inturn rent to the proff classes. So where does this leave low income people? Locked out of the private rental market and therefore locked out of housing in most cases..Private market housing is the only show in town apparently as FG repeat themselves year after year that the solution to housing problems is simply “more housing” They conveniently ignore the fact that even as the country was building nothing but houses in 2005 and 6 this had no effect on prices. Tom parlon and his ilk have no interest in housing poor people, there MO is squeezing the pips from middle class couples. All in all if the middle cant get ahead what hope do the poor have? the social contract is broken. For the working classes it is smashed. Can’t disagree mate. If you want to see where we’re headed look at the UK whose housing policy we’re following. They have a homeless population of 300k out of a population of 65m, about.35/. Our rate is. 15/. Our rate is nowhere near the euro average so fg don’t consider this to be a crisis at all. The big change that happened in the last 25 years is that the young people stopped emigrating. Suddenly the 25-45 age group in Ireland boomed. Instead of going abroad to get a job (i.e. live in a flat in London or Boston) they stayed here – and lived in a flat in Dublin. That is one of the major factors in the increase of renting in Ireland. What do you disagree with in the statement where interest rates are a useful counterpoint? That couples could afford a home on one salary near work. People bought houses at the outer extremes of the city – places like Clondalken and Coolock. As the interest rates dropped in the last 20 years people could afford much higher mortgages fur the safe repayments. So the backs weren’t just “shovelling money”. Did the writer even read the taoiseach’s paragraph that he quoted? As per the plan of faceless senior civil servant policy makers the scheme to massage the numbers on the housing lists involves moving people on RAS to HAP. If you have been or want to apply to be on a council housing list you are now eligible only for HAP while waiting on a now 140 years to clear in Fingal alone list. 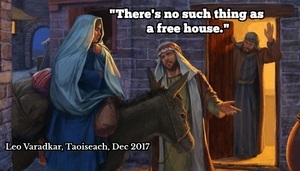 If the gov can’t house the actual 7,000 ‘homeless’ in state built council houses , through housing associations etc..
what hope is there for those currently who according to leo’s deliberate language are homed but ‘want different houses’? 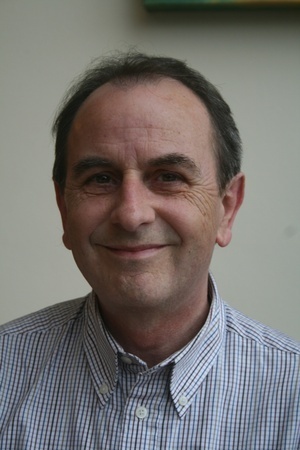 None as gov policy has changed from building social housing to giving tax incentives & providing infrastructure in estate to developers who are constantly challenging quotas for not even social, but importantly to the middle classes ‘affordable houses’… taking cherrywood loughlinstown as an example, the affordable houses are not even built and already predicted to be priced beyond the reach of many. Leo fg , fg etc three tier technocratic vision for Eire is a land of early rising 9 to 5 renters for life,those living in limbo on social housing lists waiting for ‘not in my lifetime’ leo to house them & the combined earning couples shelling out 75% of their wages on a mortgage for a 3 bed semi in for 30 years. The diff between RAS & HAP. If you accept HAP as part payment towards renting you are then considered ‘housed’ by the government & removed from the council list. You have to remember that you aren’t entitled to a council house. You aren’t even entitled to HAP in some cases.under Irish law you are only entitled to shelter. Thanks for this scottser. Many people wouldn’t know this. Please note I do enjoy your posts when you relate your expertise on these subjects and avoid the unnecessary name calling and abuse. A question I would love to ask Leo. What happens when everyone stuck renting and paying 75% of their combined income reaches retirement age? What happens when the renters can’t work due to old age/injury…. He’ll be long dead after a second-half of his life time on early retirement topped up by fat salaries from sitting on the board of whatever EU institution or private corporation and so won’t give two hoots.